The Golden Cockatoo in Deerfield Beach, Florida, sponsored a fundraising weekend for Dr. Irene Pepperberg this weekend. 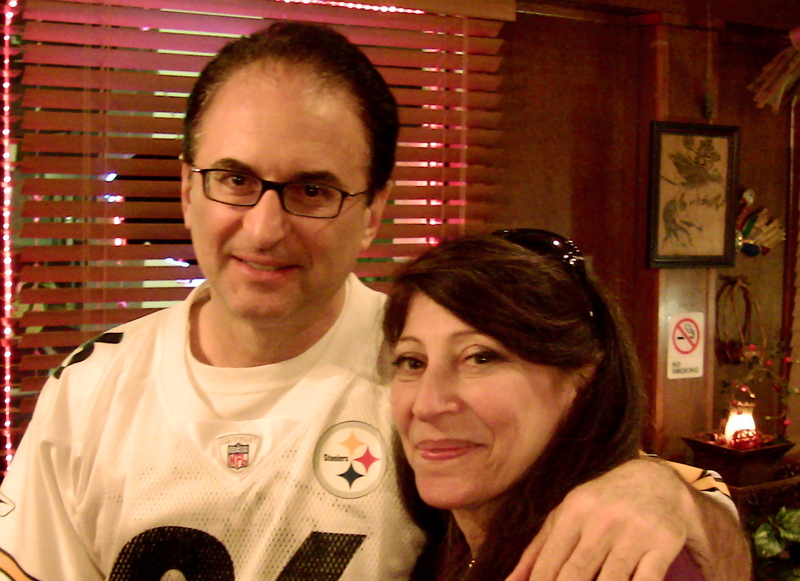 Lisa Bono who owns the “Platinum Parrot” in New Jersey flew down for the event and to help out. Irene, Lisa Bono and moi. Rick Horvitz, owner of the GC, arranged for a private fundraising dinner on Friday night and subsequently added another dinner on Saturday night due to high demand. 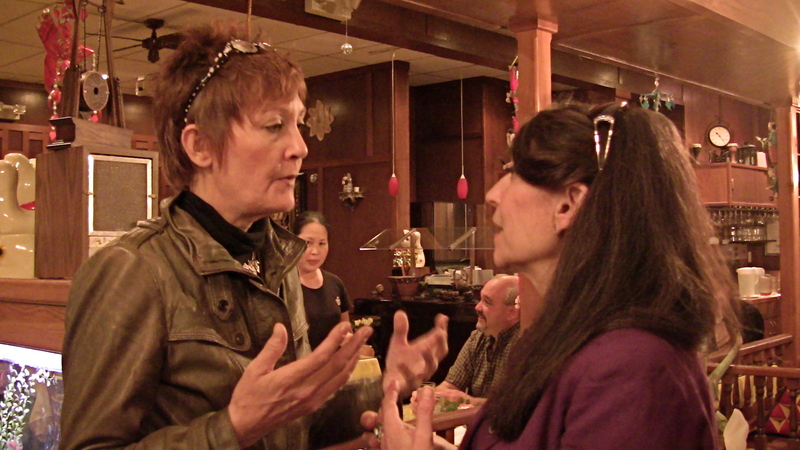 A friend and I attended the dinner on Saturday which was held at “Chow Thai” in Boca Raton. The food was excellent as was the spirited discussion that went on during the dinner. 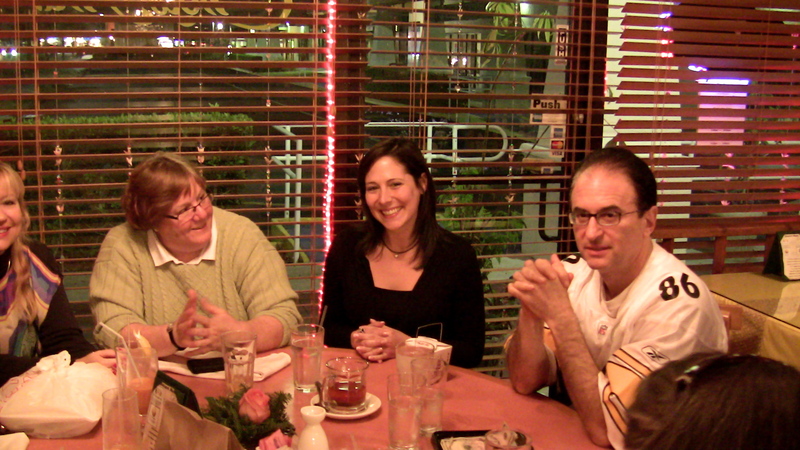 Naturally, a dinner table discussion is quite different than listening to Irene speak in a formal setting. The subjects of discussion rambled around from Irene’s flight schedule, which is probably even dicier than mine, to types of events she speaks at, as well as common misconceptions about the Alex Foundation. It’s always less formal and always a lot of fun. I was sitting next to Irene and as always, it’s a gas to see her. Other than the occasional phone call between her bouts of travel and my flying schedule, we don’t get together that often and it’s just so much fun to see her. But we rarely talk about “the business.” I don’t know why, it just doesn’t come up. We just sort of sat there and gabbed away about “stuff” while she shared my Naem Sod appetizer and hot sake. Irene did explain to all of us the struggle she has in keeping The Alex Foundation in one piece. Since most of her government funding has been yanked since 9-11, the burden has fallen on the foundation itself to raise the necessary funds. This explains why Irene is constantly on the road raising funds by making appearances and speaking. It also explains her constant battle with jet lag and fatigue, something I can certainly relate to. 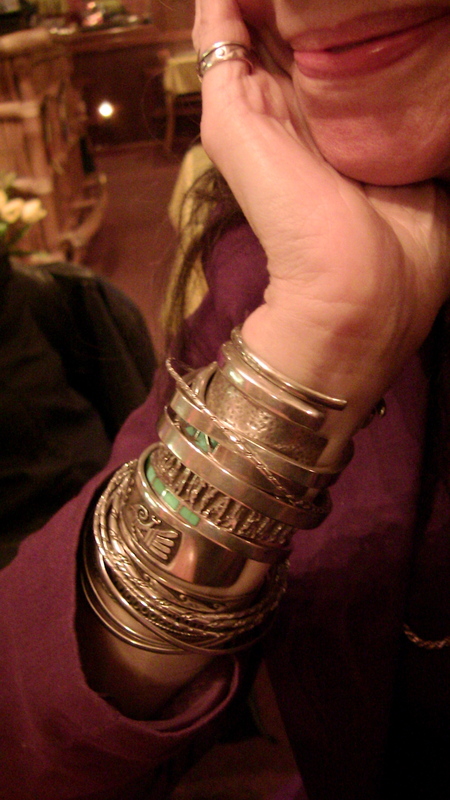 I went to London over Christmas weekend, and that entire weekend, I got six hours of sleep. After that trip, I felt as though I had been dragged behind a truck, so you can imagine how thrilled Irene was when she reported that she actually got to stay home for a month. She was beginning to approach feeling normal. Well, that’s going to get blown out of the water soon, when she goes back on the road to San Antonio, New York, Israel, Vienna, The Czech Republic, Cleveland and beyond. I didn’t quite get the entire schedule as I was smacking down some scallops, alternating with a little sake and scattered conversation. I can tell you this: The Alex Foundation is doing some incredibly significant work. Despite issues with “The Ivy League Old Boys Club,” resistance to her premise, and having promised funding falling right though the floor, Irene kept on. I’m sure she thought, “Well, hell, if I can’t get any funding, I’ll just raise the money myself.” That takes guts. Irene didn’t give up. She knew what she was up against, and the only way she could see raising the money was hitting the road. So she did. And it’s what she continues to do. With your help and the help of all of the parrot families in the world, we can help her with her research. That’s all it takes. A five dollar contribution out of your “Latte Factor” will help. Think you could do without a cup of coffee for one day? I know I did. I gave her 20 Latte coffees worth. Please? If you can, just slip a five dollar bill into an envelope and send it to Griffin and Arthur at this address. Their work carries on Alex’s unfinished business and it’s such important work. There is much to accomplish and The Alex Foundation needs your funds. What a great night! Sure wish I lived closer. I’m a big fan of Irene’s, a big fan of yours…and (unbeknown to most people) a HUGE fan of sake! I will cross post this and see if we can’t get some VENTI latte’s-worth of donations rustled up! That must’ve been a wonderful weekend. Irene has dedicated so much time, love and energy in her projects. I am going to send my $5 and I don’t even go to Starbucks. I hope you posted that picture on Fb…..I know there are a lot of us who are inspired so much by Irene and would gladly send a donation . Oh, my God! Darlene! Thank you so much! You’re #1 on the “Latte List.” That’s terrific. Thanks so much. I went to the Alex Foundation website and was delighted to find they have a link to purchase items from Amazon.com and a portion of the total will be donated to the Alex Foundation. I’m going to shop that way on Amazon.com from now on! I sent 10 lattes worth personally and will double that from Parrot Garden. Thanks for bringing this to our attention. The work is important to anyone who loves or deals with parrots. 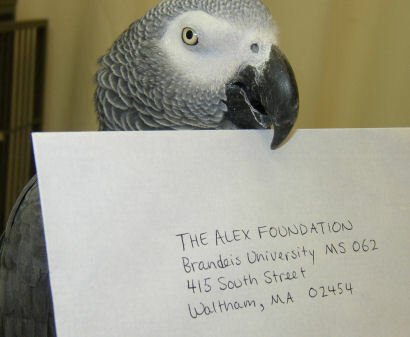 I attended the Alex Fund raiser that was sponsored by the Platinum Parrot. It was a fun event and I wish that this one was closer. If t had been local, I would have went to it.It looks like an enjoyable evening was had by all!!!! It is nice to see that Lisa Bono from the Platinum Parrot went down to help out and support this event. Irene’s research will benefit many. I don’t indulge in Lattes but I do love me some Dunkin Donuts coffee!! I will be sending a few of those dollars to the Alex Foundation. I forgot all about the amazon.com link. I’m gonna have to make a note!! Wonderful, Marcia! And thank you! I really had nothing to do with the planning, the idea, the communication, the scheduling, the timing, or your involvement, so I really had no idea what level you were involved with the project as I was not included in that end of the planning. Sorry I didn’t mention you. My involvement was just my attendance. My apologies for leaving you out of the loop. As I was not involved on that end, I feel perhaps it was Rick Horvitz that should have done that. Perhaps that is something you might mention to him. I was simply writing up the event as it happened. 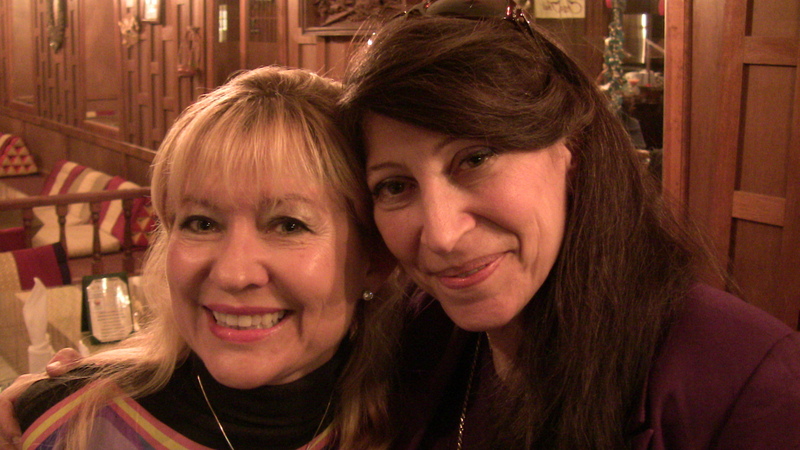 Hi Patricia…Thanks for the article and what a great idea for fundraising. 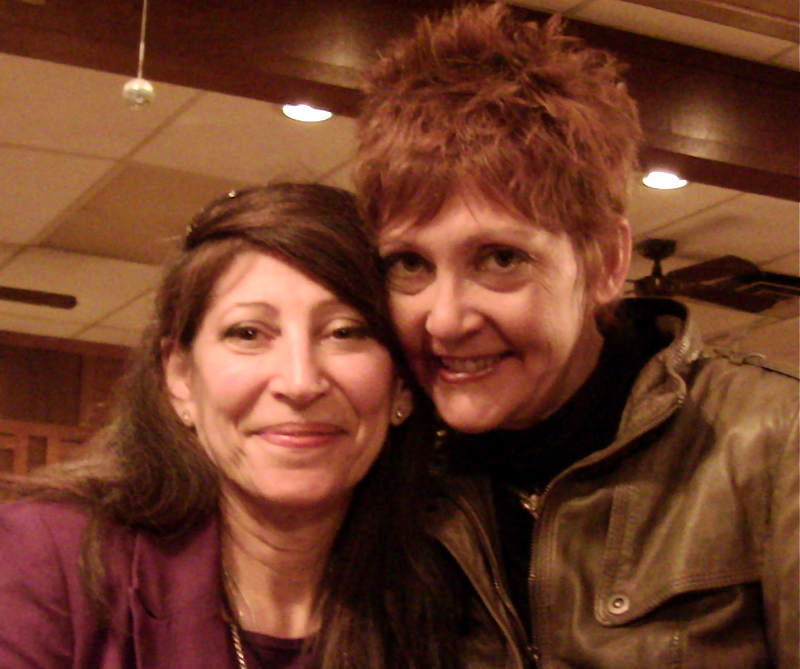 I had a great time at dinner on Saturday night and loved the time spent with Irene and the rest of the parrot parents! I will be watching for her to come either back to Florida or somewhere close! Give my best to Pepper and Parker! Ten latte’s coming your way!! Parker and Pepper thank you. 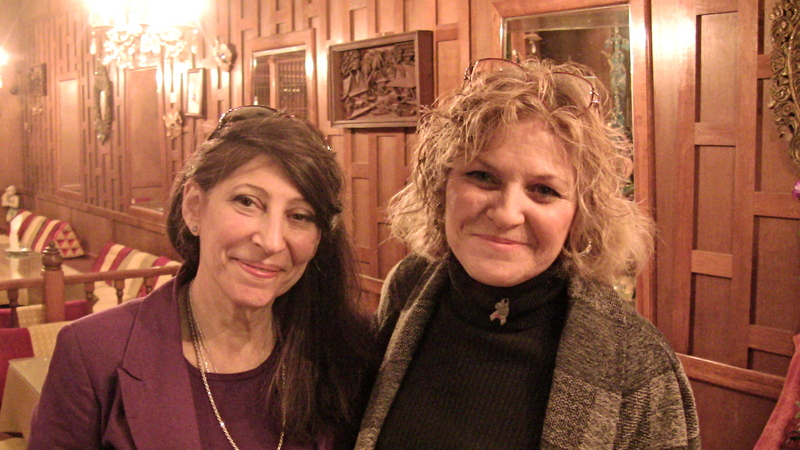 It was so much fun to meet you and as always it was always so much fun with Irene. Thanks so much for supporting Irene and the Alex Foundation! Thanks so much. I thought it was an easy way where everyone could afford to give something.